I spend a lot of time having to tell people that I don’t have ONE favourite book. I have too many to name. I know that often what someone really wants, when they ask me about my favourite book, is just a recommendation for something to explore for themselves, or to see if our reading tastes coincide, but I end up taking the question literally and feeling stressed. 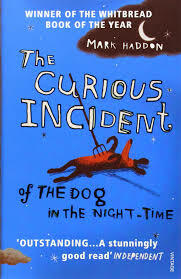 Having just finished The Curious Incident of the Dog in the Night-Time, by Mark Haddon, I know I feel a bit like Christopher Boone, its hero and narrator. I panic because instead of seeing a shelf of perhaps five or six great books, and narrowing it down to one for the sake of politeness and efficiency, I picture all the many bookshelves around my house, and at my parents’ house, and houses of friends I’ve visited, and in my student houses and in school and public libraries, which contain or contained books I’ve loved, and that have shaped me, and I know that there are many other books (unlike Christopher this time, who has a photographic memory) that I’ve adored but have forgotten, and I feel that I’m letting my reading experience down, and the authors down, and the stories down, and the person who asked me down, by not mentioning them all. a sense of discovery about me – autism is part of the spectrum of all human brain development and in some of the descriptions I recognised the bits of myself that seem to verge on autistic sometimes. There were a couple of maths problems I really loved and wanted to discuss with my husband late at night when he was trying to sleep. He wasn’t so interested. Of course I’m not the first person to notice what a great book Mark Haddon has written. It’s inspired other great literature, won a bunch of well-deserved prizes and sparked an award-winning play in the West End – and now I think on Broadway – which I’d very much love to see. I’ll think of aspects of this book often. When I remember, I’ll put it in my top 10. But there are so many books in my head that, like Christopher when he’s in a crowded place, sometimes my brain can’t cope and I have to shut it down a bit. And now, thanks to this book, I have a clear image of my panic, and it’s Christopher’s panic at Swindon Station, and that makes it easier to understand and to bear. And that’s what great books do. Probably, if you were to ask me next time, I’d say my favourite book is Thank You Jeeves by PG Wodehouse, because I do very much adore anything with Bertie Wooster in it and Wodehouse is my favourite comic literary genius and it’s my default response. Or possibly Murder Must Advertise by Dorothy Sayers, because Lord Peter Wimsey is my favourite detective and I love a good mystery, or Middlemarch by George Eliot, because it captures the painful consequences of modernity better than any other novel. But in my head I’ll be in Christopher’s head in Swindon Station, and this is why. 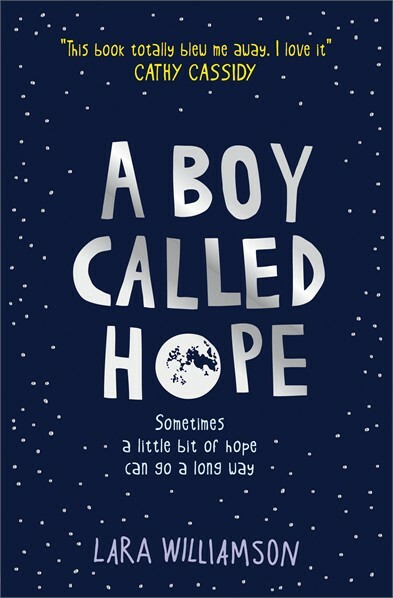 Today I’m very pleased to host a great debut author, Lara Williamson, writer of A Boy Called Hope. Cathy Cassidy calls her ‘the best new voice I’ve read in ages’, and I call her Lara. 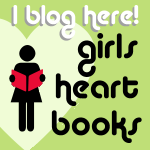 I was asked to take part in the blog tour of What, Why and How I Write by the fabulous, Sophia Bennett. Of course, I jumped at the chance because a) Sophia is a super-scribe and I was thrilled to be asked. If you haven’t read The Look yet then you’re missing out [me: *blushes*] b) I’m very happy to chat away about my writing process until the cows come home c) I love being nosy about how others write so needed to step up to the mark when I was asked. This is um… me stepping up, probably in ruby slippers. Read on to find out why. At the moment I’m working on my second book, The Boy Who Sailed the Ocean on an Armchair. It’s not a sequel to my first book, A Boy Called Hope, but it sort of follows on in the way that both deal with families and belonging. Of course, like the first one there will be tears and laughter. And my main character will encounter many obstacles on his journey. I tend to think that no one really travels through life on a perfectly straight path getting from A to B. For most of us we do get to B but we’ve got there via Z, X, M and a few hills and valleys and that’s the same with my characters. When book two is finished I’d love to go back and take another look a book I wrote for age 7-9. It is complete but needs me to dig out a very large can of polish and a duster before it is fit for human eyeballs. Ah, good question! What can I say other than mine differs from another in the same genre because I wrote it and it’s a story I tried to tell from my heart. I hope it’s a story only I could tell in the way that I’ve added lots of little things I’m interested in. 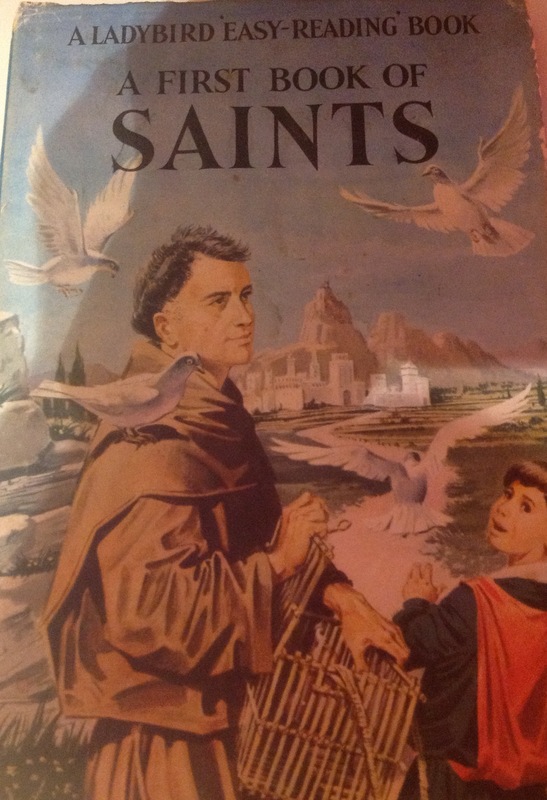 For example: I grew up surrounded by stories of saints and I included that in the book. I also did a degree in Fashion Design and I once did an eco fashion show where we made clothing from items that were being thrown away. So I included that in the book too. In the book it’s called PEE (Project Eco Everywhere) but thankfully it wasn’t PEE in real life. Anyone that knows me knows I have a love of glitter and sparkly things which I think started when I saw the ruby slippers in The Wizard of Oz. 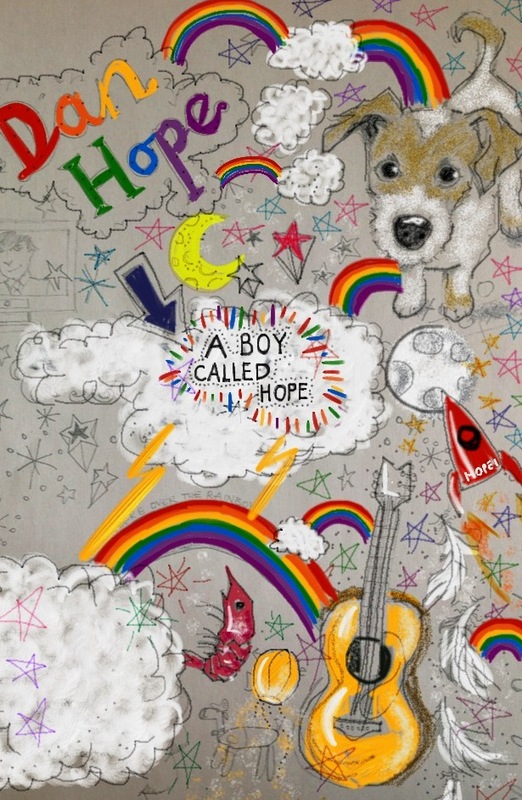 So, yes, you’ve guessed it – there is more than a passing nod to The Wizard of Oz and rainbows in A Boy Called Hope too. Really, it’s just the little things, the quirky details that make it unique to me. I work five days a week and try to keep the weekends free. But if I have to I’ll work on Saturday mornings too. To be honest though, I don’t completely switch off because I could be lying in bed and a character will pop into my head and begin to have a conversation with me about something in the book. Usually I like to write to a target but some days I fall short. Some days I write more. It’s just swings and roundabouts, really. I tend to have a vague idea in my head with the plot but I don’t map it out perfectly because a little part of me is very much like my main character. I know the beginning and the ending but I’m going on a journey and I want to be surprised or find myself taking a turning I’d never expected. Perhaps it means I’ll travel towards a dead end but I can always turn back and find the path again having learnt something new. The creativity doesn’t stop with my writing either. 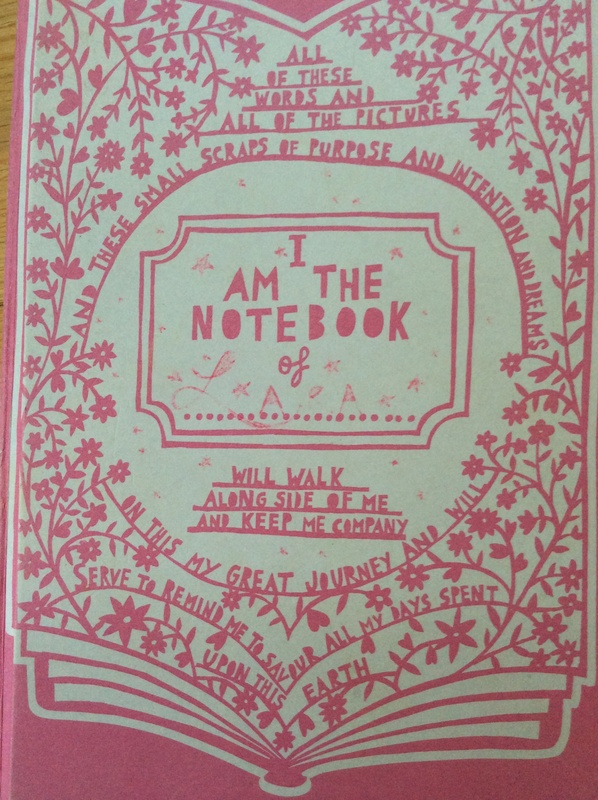 There is always a place in my notebook for oodles of doodles! Thank you again to Sophia for allowing me to put this on her wonderful blog page.